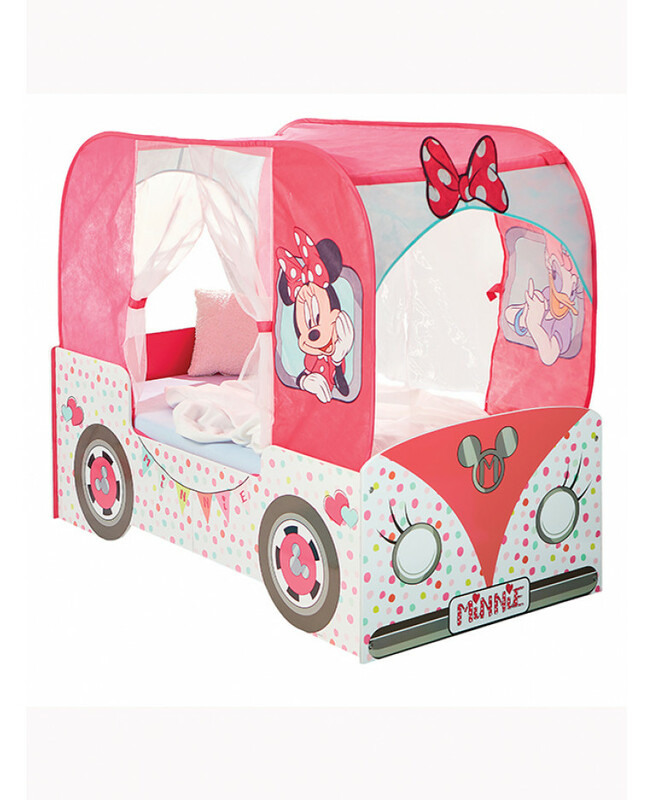 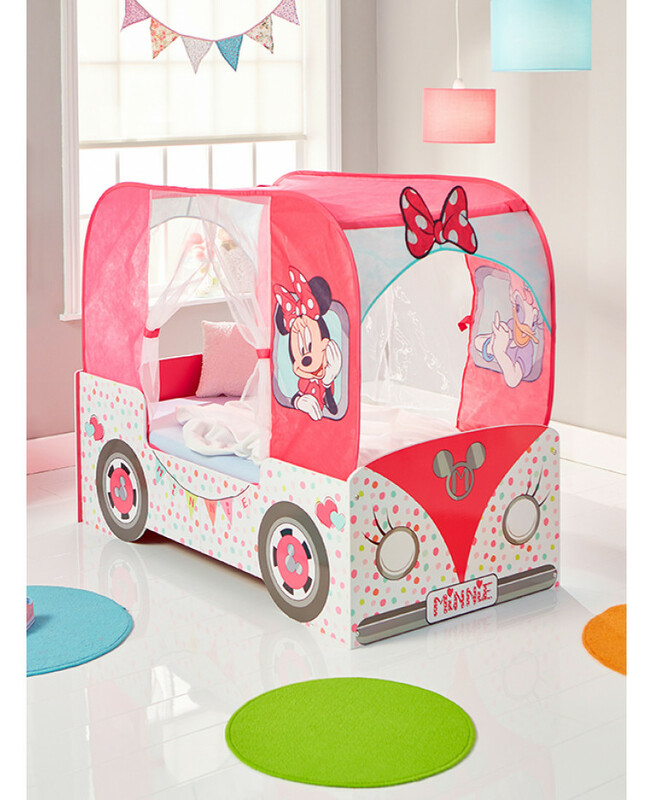 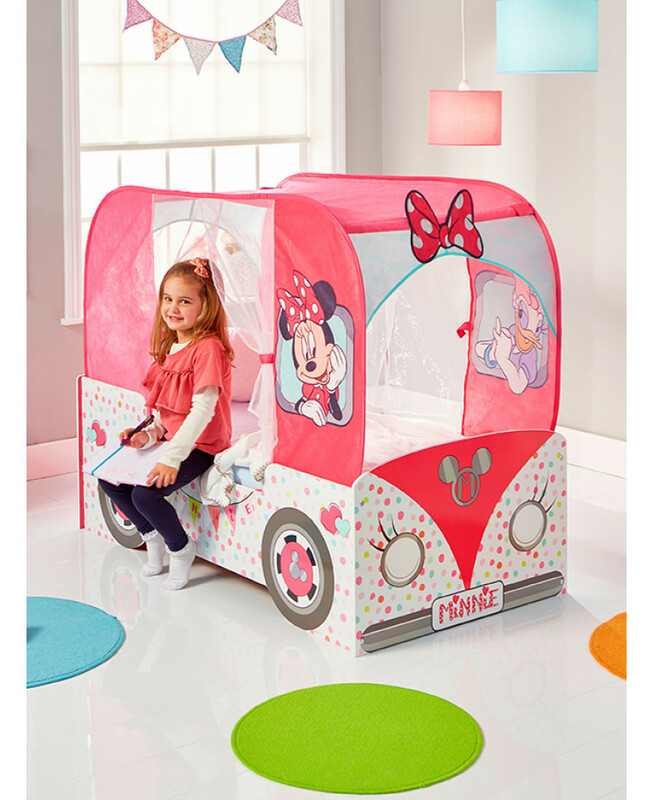 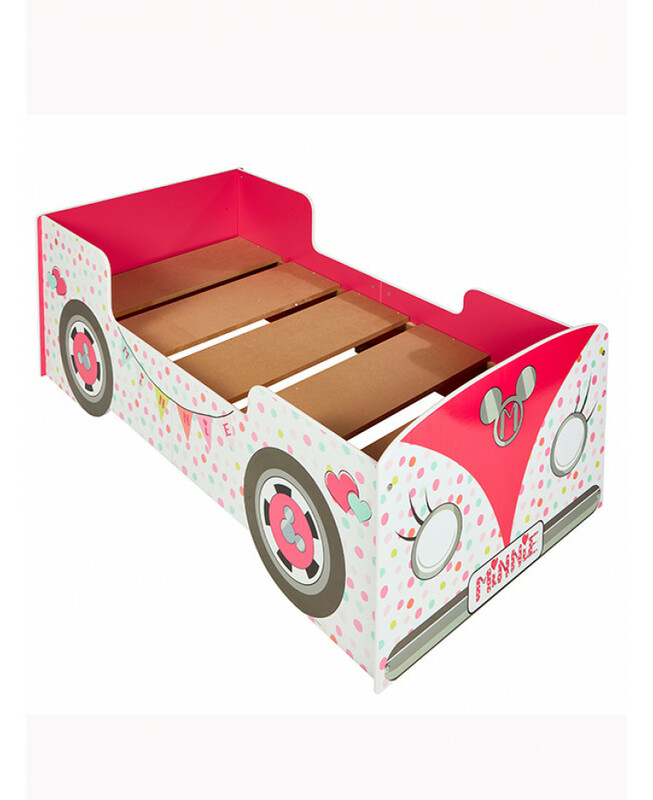 This fun Minnie Mouse Campervan Toddler Bed is an ideal stop off on the journey from cot to a grown-up bed. 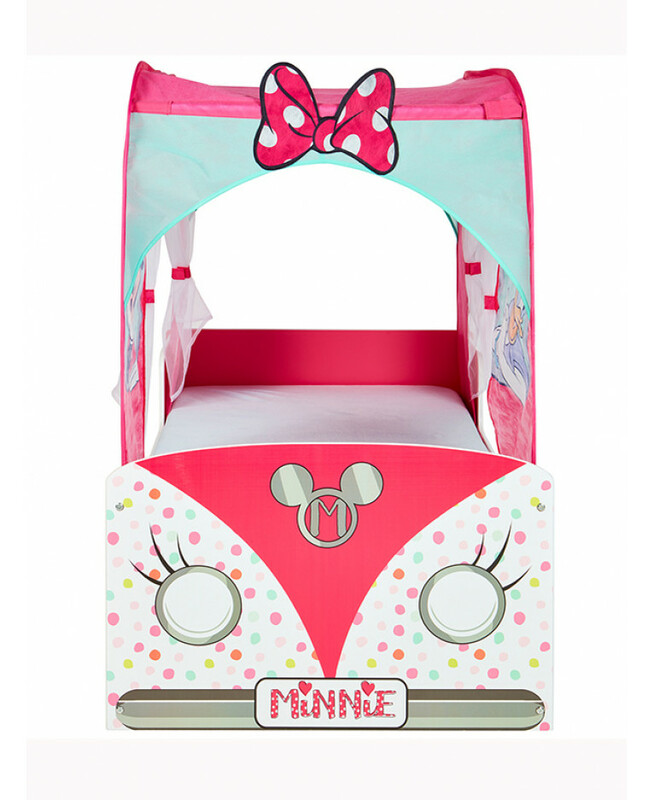 With its fun campervan design, pretty polka dot print and voile drapes, this has to be every little Minnie fan's dream bed. 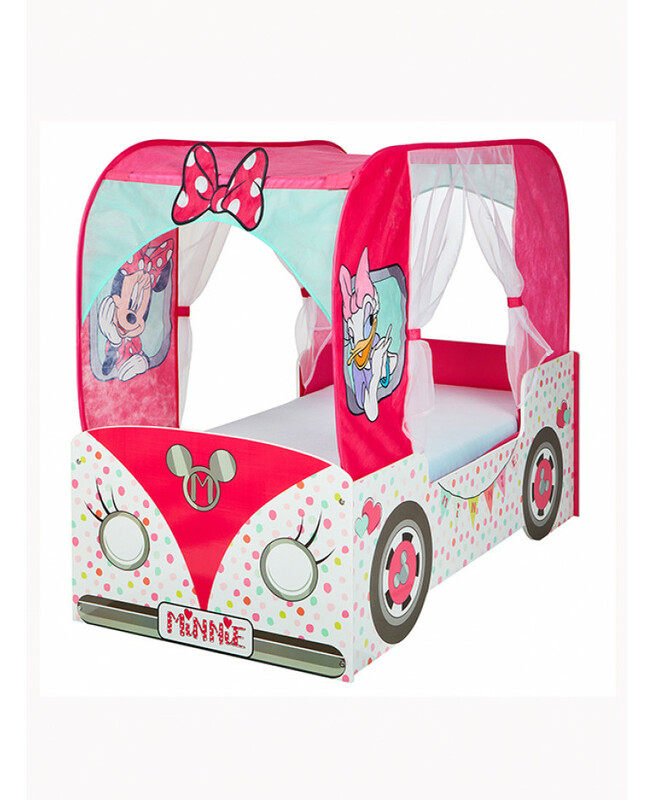 Secure side panels to prevent bedtime tumbles whilst the low to the ground design makes it easy for little legs to hop on and off. 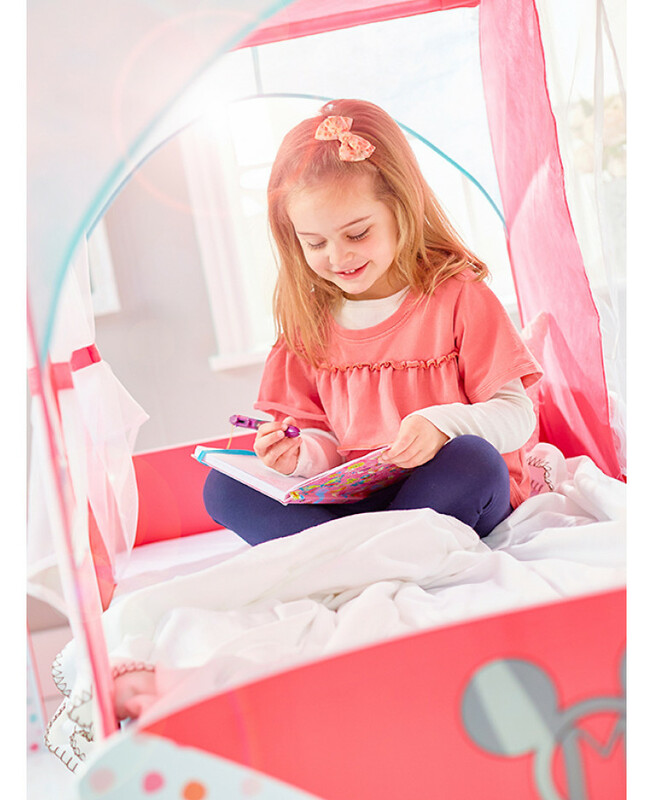 Beautifully crafted, the safe and sturdy bed frame is easy to assemble with all fittings and components and step by step instructions supplied for an hassle free build. 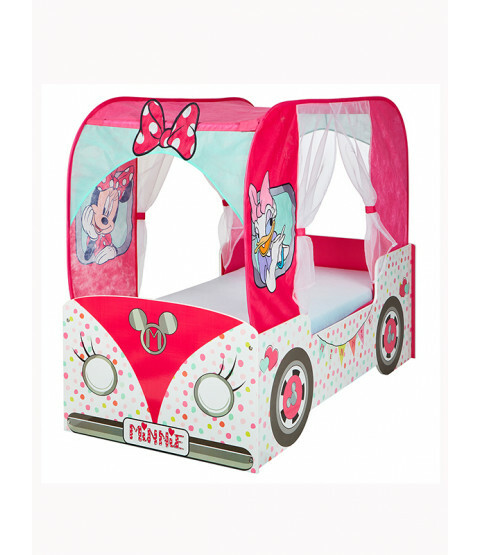 Part of the HelloHome Minnie Mouse kids bedroom furniture range, this Minnie Mouse Toddler Bed is great value and built to last.